This is my dog truck. I have used them for three years. They don't leak and are easy to clean. Brenda's previous dog truck, 1989 Chevrolet, complete with inverter and microwave. We'll feature her new truck shortly. 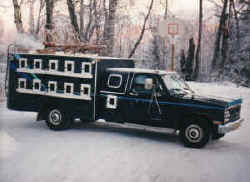 Truck built by Tyler Coach, Oakland, Maine. 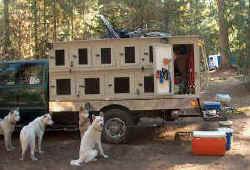 Our dogs travel in comfort and they seem happy with it too. Makes race and training time much easier. 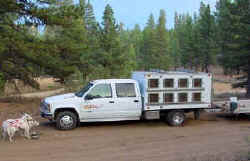 The truck is a 1994 Chevy 1 ton dually, crew cab with Aluminum wheels. 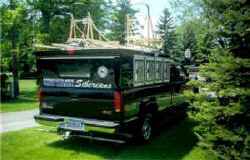 The truck was converted to a 9 foot flatbed. 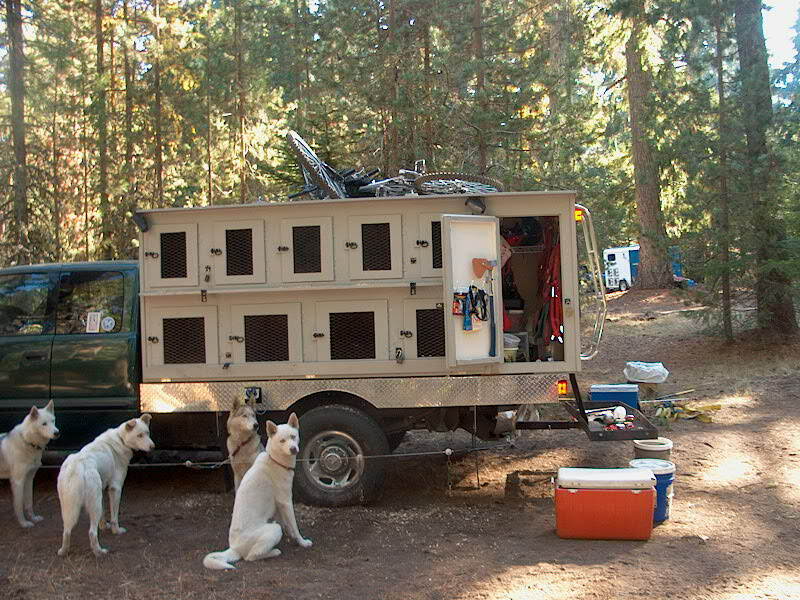 The box was made to fit the bed and is removable using 2 or 4 camper jacks. 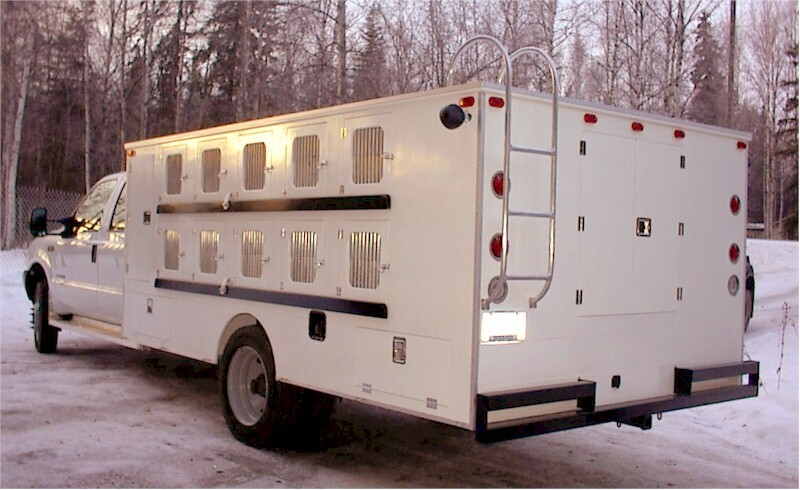 Brenda Nicoli and Frank Tretteviks new dog box. 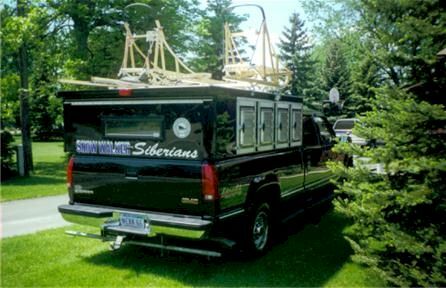 Built by Bob Stevens of North Pole, Alaska. Bob is a master dog box builder who designs and constructs some of the best looking, most functional dog haulers on the road.